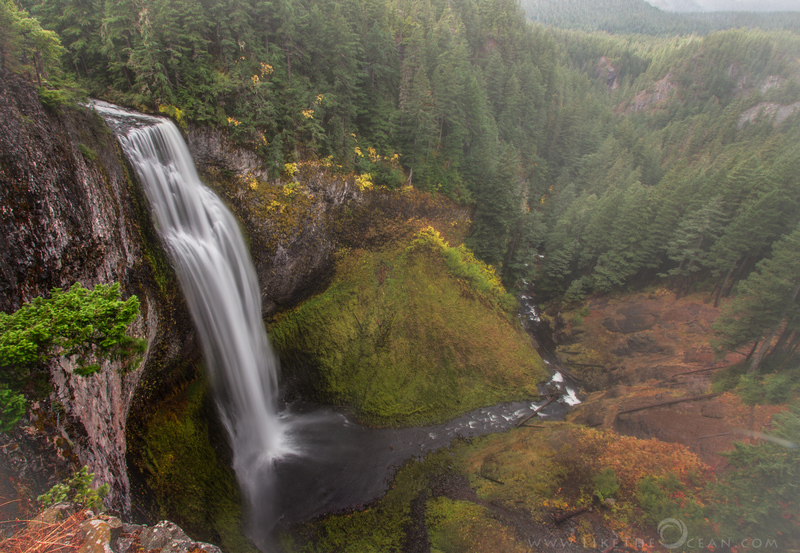 Oregon is blessed with so many many waterfalls. Still, at 286 feet, Salt Creek is definitely one among the most impressive. Located at Hwy 58 around 20 miles east of Oakridge, it is easily accessible. The view point is just 20 feet from the parking, but it is well worth to take the hike down to the base of the falls. There are many views along the canyon rim as you hike down, but I still liked this view from the top. Though the scale of the falls is not very prominent in this view, I dig how this showcases the falls along with her landscape. One could just watch the fog play hide and seek – all day. The cool breeze of the enduring autumn fog along with a hint of falls colors added to the grandeur.